Adams at the world premiere of 'Vice' on Dec. 11, 2018, at the Samuel Goldwyn Theater in Beverly Hills, Calif.
Entertainment Weekly says Close, 71, a seven-time Academy Award nominee, will portray "Mamaw," described in the film’s official synopsis as "a resilient and whip-smart matriarch of a southern Ohio family." 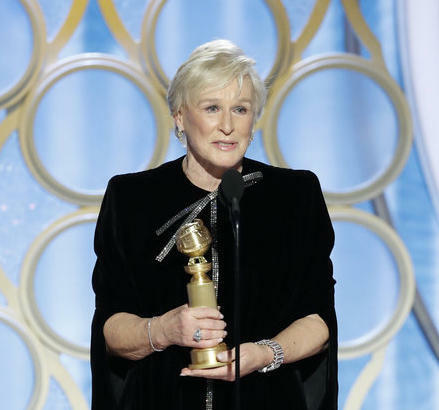 Glenn Close accepting her Golden Globe Award for "The Wife" in January. The only other cast member announced for the film, to be directed by Ron Howard for Netflix, is Amy Adams. EW says Adams will play Vance's "addiction-riddled mother, Bev." Close won the Golden Globe in January for best actress in a motion picture/drama for The Wife. She also has been nominated for Oscars for her performances in Fatal Attraction, Dangerous Liaisons, The Natural, The Big Chill, Albert Nobbs and The World According to Garp. Original post Monday April 8: Six-time Oscar nominee Amy Adams will star in Ron Howard's movie version of Hillbilly Elegy¸ Variety reports. It's the first casting news about Netflix's production of J.D. Vance's memoir. The 2003 Middletown High School graduate wrote the 2016 best-seller about growing up poor among working-class "hillbillies" in the old steel town. Adams, 44, was nominated for a best supporting Oscar award this year for her portrayal of Lynne Cheney in Vice. She also was up for Oscars for American Hustle, The Master, The Fighter, Doubt and Junebug. Her other credits include Sharp Objects, Justice League, Batman V. Superman: Dawn of Justice, The Muppets, Charlie Wilson's War and Catch Me If You Can. 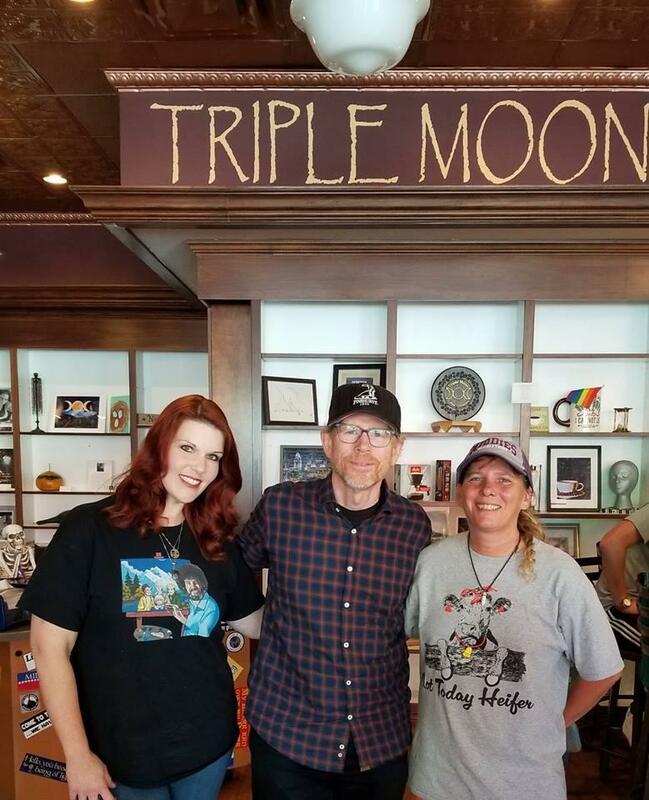 Ron Howard at downtown Middletown's Triple Moon Coffee Company with manager Renea Theiss (left) and owner Heather Gibson (right) on Tuesday, Oct. 2, 2018. Oscar-winner Ron Howard (A Beautiful Mind, Apollo 13, The Beatles: Eight Days A Week, Frost/Nixon) will direct the feature for his Imagine Entertainment company. He has been seen twice in downtown Middletown at the Triple Moon Coffee Company, once last month (March 25) and last October. It's presumed that he's scouting locations there, although there has been no word on where or when the film will be shot. Vance, an Iraq war vet who studied political science and philosophy at Ohio State University and law at Yale, will be an executive producer on the film. The script was adapted by Vanessa Taylor, who was nominated for an Oscar last year with Guillermo del Tor for The Shape of Water. She was also a writer-producer on HBO's Game of Thrones, Jennifer Garner's ABC Alias action series and WB's Everwood drama.